With his post-retirement revelations, Justice B. Kemal Pasha has triggered of a controversy regarding powers of the Chief Justice as the Master of Roster. In interviews given to Malayalam news channels after his retirement on May 24, Justice Pasha expressed his displeasure with the mid-term roster change made during March 2018, taking him off from criminal jurisdiction. The roster change happened during mid-March after Justice Pasha passed judgment in two significant cases having wide political and social ramifications. One was the judgment ordering CBI inquiry in the Shohaib murder case, in which a congressman was hacked to death allegedly at the instance of CPI(M) workers. The second one was his judgment in the Syro-Malabar Church land scam case, in which he ordered registration of FIR against Cardinal Mar George Alenchery and other Catholic priests. Immediately after the pronouncement of these judgments, a roster change occurred in the subsequent week, whereby he was shifted to civil jurisdiction. In an interview given to News 18 Keralam, Justice Pasha said that the mid-term roster change was “untimely shift”. He said that the shift did not affect him personally as he had no preference for any particular category of cases and was ready to adjudicate any type of case; however, he felt pained that it lowered the esteem of the Court in public eye. To a pointed query whether the roster change was due to interference by the Chief Justice, Justice Pasha replied that the Chief Justice was the Master of the Roster, and was entitled to allocate judicial business. However, change of roster happens usually at the end of the term, or during the appointment of new judges; but, there were no such factors which justified the mid-term roster change- he added. Roster-change sowed seeds of doubts in public mind. In an interview to Mathrubhumi News, he stated that the Chief Justice ought to have acted with more care while making the roster change. The untimely roster change sowed seeds of doubt in public mind, and was best avoided. He clarified that he does not share the feeling that the Chief Justice was acting with vested interests while making the roster change. But Justice Pasha added that the Chief Justice ought to have foreseen that the roster change at that juncture would be seen negatively by the general public, resulting in damage to the reputation of the institution . Such unusual changes might give reasons for the public to suspect external interference in justice administration and that pained him. In his farewell speech, Justice Pasha had remarked that certain “extra judicial forces” were creating hurdles in justice administration, and that judiciary was facing attacks from within and without. Chief Justice Dominic could have avoided Cardinal’s case. Justice Pasha stated in Mathrubhumi news that it would have been better if Chief Justice Antony Dominic had avoided hearing the appeal of Cardinal Alencherry. Pasha made the remark in response to a query whether it was proper on part of Chief Justice Dominic to hear the Cardinal’s appeal, as Justice Dominic was a member of Syro Malabar Church, of which the Cardinal was the head. The appeal considered by the Division Bench presided by Chief Justice Dominic was ultimately allowed, setting aside the direction of Justice Pasha to register FIR against the Cardinal and some other priests in the Syro-Malabar Church land scam. Justice Pasha observed that unnecessary controversies could have been avoided if Chief Justice Dominic had referred the appeal to some other bench. He said that it was important that justice is seen to be done. In the Mathrubhoomi interview, he expressed his anguish at the trend of killing politics rivals. “That is not real politics”, he said. He was responding to queries about his judgments in Ariyil Shukoor case(where he ordered CBI enquiry in a political murder allegedly carried out by CPI(M) workers), Kathiroor Manoj case(where challenge of CPI(M) leader P.Jayarajan against UAPA charges was dismissed) and Congress worker Shuhaib murder case . He also lamented the fact that only the foot soldiers get booked, and those who operate “behind the curtains” are seldom caught. (The appeals against these judgement are pending. The direction for CBI investigation in Shuhaib murder case was stayed by the Division Bench headed by Chief Justice Antony Dominic). Regarding the recommendations made by the HC Collegium, he said that he happened to know about the names from the media, and added that he had no occasion to see the faces of some of the lawyers who have been recommended for elevation. In his farewell speech on the occasion of his retirement on May 24, Justice Pasha had observed that “judgeship was not a family property to be partitioned”, and that it should not be allotted on the lines of religion and caste. 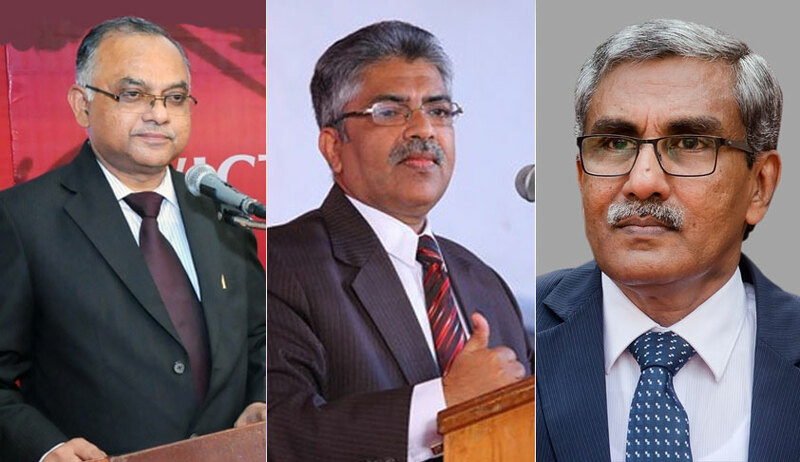 Recently a single Judge of the High Court has dismissed a petition filed by two lawyers challenging the High Court’s recommendation to Supreme Court Collegium to elevate five lawyers as judges of the high court. It was alleged in the petition that the names of lawyers who are the kith and kin of the siting and/or retired or former judges of the court or Advocate General, were proposed by the High Court Collegium. He also said that the trend of judges accepting post-retirement job assignments from the government will destroy public confidence in the impartiality of judges. Chief Justice Antony Dominic, while speaking at a farewell function organized by the staff of the High Court, said that he has acted only as per his conscience and that he was laying down his office with that satisfaction. Justice P.N Ravindran, the second senior judge of the High Court and member of Collegium, reacted very sharply to the developments. “We have to resist the attempts of petty persons who tarnish the reputation of this great institution after retirement”” Justice Ravindran said in the farewell meeting organized by the staff, by referring to the revelations made by Justice Pasha. Justice Ravindran said that he will comment more about it on his speech during the full court reference on his retirement on Monday, May 28. The controversy is likely to snowball if Justice Ravindran makes further sharp responses on the issue on his official retirement speech. Chief Justice Dominic is retiring on May 30, and Justice P.N Ravindran on May 29.